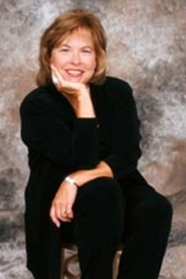 Cindy Gerard is a New York Times bestselling author of many contemporary romance novels including To the Brink, To the Edge, To the Limit, Over the Line, Under the Wire, and Into the Dark (all available from St. Martin’s Press). She is also the author of the Black Ops, Inc. series, every one of which has appeared on The New York Times top 20 list. Along with numerous industry award nominations, Cindy is the recipient of The National Reader’s Choice Award and two-time winner of Romance Writers of America’s coveted RITA Award.